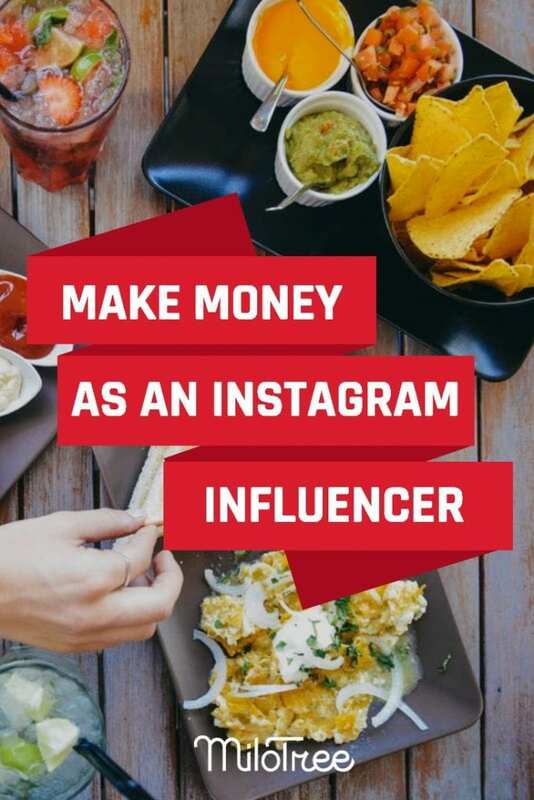 If you want to learn how to make serious money as an Instagram influencer, this is the episode for you. Today my guest is Maria Koutsogianni from the blog, Food By Maria. She is a food stylist, recipe creator, and photographer. But more than all of that, she is an Instagram influencer. She has over 170K followers and she has been incredibly successful in building a business off of IG. She shares about her staff, expanding her reach to other platforms, and much more. Maria was working as an accountant in the UK, but she was miserable. She knew she wanted to do something else but it wasn’t until she was diagnosed with IBS after struggling with an eating disorder for 6 years (and she was thrown into a world of food rules and lists of do’s and don’ts), that Maria decided to take things in her own hands. She created an Instagram account called Food By Maria to document for herself what she was eating. Soon, family and friends started to follow the account and the rest is history. Maria was not a professional photographer, she was inconsistent, and wondered at her lack of followers. She didn’t want to go back to accounting; she wanted to make this her career. Once she had a real camera and dedicated herself to the account, her following grew in leaps and bounds. Instagram was much different back in 2015-2017. People who liked your food would repost it and other food bloggers would post it as well. The algorithm was different in the early days; it’s much more difficult to grow an account these days as quickly as Maria did. When Maria launched her first site, it was lacking things like SEO, she wasn’t creating the right recipes, she wasn’t talking to her audience. Maria learned by experience, continuously exploring photography, and learning that she could hire things out. Her videographer will come to wherever they are shooting for the day and video the recipes that Maria is creating for that session. As of right now, Maria has several team members. Raquelle is her marketing representative and helps with collaborations. Allisa helps with some blog posts, Maria’s Pinterest account, and maintaining the overall aesthetic of the accounts. Vivian is an intern who does comments on Instagram. Eli does videography, as Maria mentioned. The team in New York consists of Barrow, they are the website developers. Kaitlyn is the designer from Pebble Creative. Chloe is a friend who comes over occasionally to help with food. There are photographers who will help me if I need my hands in a shot. 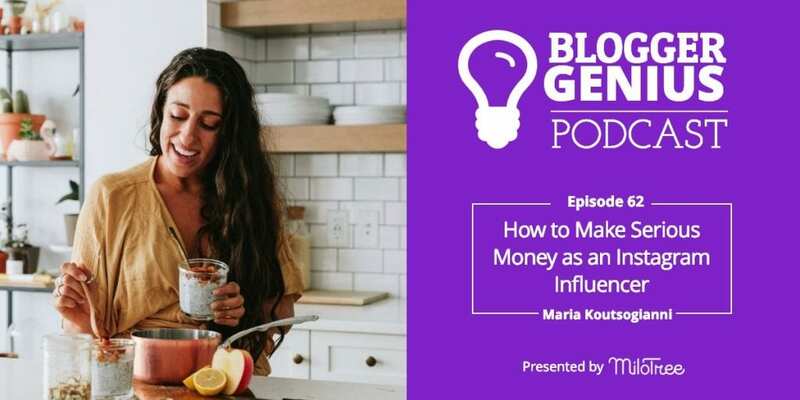 Maria makes an income from advertising brands on Instagram, but she hopes to move toward a more passive income, including more cookbook sales, more app sales and generating more revenue from the blog itself through ads or e-book sales. Ultimately, Instagram cannot be the sole income forever because Instagram is continuously changing. The goal for Food By Maria is to figure out which avenue is best for revenue and move from there. Brands find Maria through her Instagram or the contact feature on her blog. A client will reach out and give Maria an idea of what they are looking for. Maria’s team then sends over a file of examples and videos and the negotiation begins. The process is the same if Maria reaches out to a brand first. Maria will send a direct message to the brand. She tells them why she wants to work with them, what she has to offer, and she asks for an appropriate email in marketing if the company is interested in discussing further. As we said earlier, Maria has 170k followers on Instagram. Clients will look at her photography, her follower count, and price range. If they are selling their product for a certain amount, it goes on Instagram. Some higher-end products go on the blog as well to get more views. Pinterest is always included because Maria puts all of her recipes on the site to gain more traction for herself. Lately, Maria has been working with some of the brands she loves the most on a long-term basis. She has prices set for twelve months, six months, and three months. Maria did not start out as a photographer. She learned how to create her beautiful content through trial and error, learning from those who inspired her, watching YouTube videos, and lots of experimenting. Maria says that following people that inspire you is very important, because if they are growing and changing then you should want to grow and change as well. The only thing that is permanent is change. Now that Maria is an influencer herself, she doesn’t focus on the number of her followers. Maria likes to focus on what she’s passionate about which is creating beautiful content. Maria wants to show people that anyone can do what she has done on the platform. Some people are in chapter 20 of their career, and some people are in chapter 1. You have to start and trust that you can get to chapter 20 just like the person who is currently in chapter 20 did. Maria tries to find a way to share about her past with eating disorders almost every day, in a very down-to-earth way. She wants to encourage others that they too can push past the things they’re struggling with. Even if you aren’t struggling with an eating disorder specifically, Maria knows how it feels to be in the lowest place and have to work through that. Maria wants to inspire others to do whatever they want or need to. Starting a business, leaving an unhealthy relationship, overcoming a disorder, anything you want to do. She doesn’t speak specifically about her eating disorder every day, but she does show people every day that change is possible, and they can come through the other side, better. Maria posts on Instagram anywhere from once or twice a day. She has one to three blog posts a week depending on paid collaborations versus the free content she has. Maria does stories on Instagram every day, usually the length depending on how much she wants to talk. Maria says that if you’re engaged in your stories, people are going to be engaged in your feed. Maria thinks stories are more important because they are an opportunity to show your true colors. The feed on Maria’s account is put together, edited, and matches her aesthetic. Stories are like the behind-the-scenes of the account. Maria likes to get feedback from her audience about new recipes or look at her analytics to see which recipes are doing well on her blog. She is known for her savory comfort food, so she likes to create new recipes along that line. She goes to Pinterest for photography ideas or specific clients will want specific products advertised and she works with that. There is a lot of thinking that goes into what ingredients go well together, what looks good together, what your audience wants to see, etc. Maria knows that when she skips a step in the decision process, the end result won’t be as good. You have to work through the process even if it seems pointless, in order to have good content, keep getting customers, and reach your audience successfully. Maria has never gotten into Facebook, but she knows it is important to her brand. It’s something she would like to start exploring midyear. They will be relaunching the website and Maria would like to create a community on Facebook to go along with that. There are different audiences, different ways to share, and Maria can share different styles on content on Facebook. Maria is on Instagram every day for around three hours. Maria sees Instagram as her job, the platform she is working on. She isn’t on Instagram for three hours every day just scrolling her feed. Because it is her work, and one of her largest revenue streams, Maria has to spend at least that time on Instagram making that happen. Maria uses MiloTree to grow her followers, but she also has an assistant, Vivien, who does a lot of interacting on Instagram. Instagram is a platform built for communication. When your account grows, it’s harder to interact with people you aren’t already following, but that’s vital for new people to see your content and grow your page. Vivien does a good job for Maria, but according to Instagram, if you want a large account to really do well, you need to do that sort of engaging for a couple of hours every day. If you’re looking for more Instagram followers like Maria, MiloTree can help you do it faster and more easily than you are doing it now. Maria says that you need to make sure that you’re using professional photography gear, like a good camera. That makes a huge difference. People eat with their eyes. You want it to look beautiful and well put together. 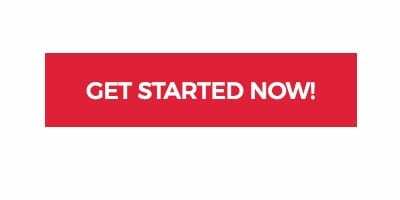 Second, if you’re starting to earn money and you can, you need to hire people who can help you. There are about two things you are amazing at, and you will need someone else to do the things they are great at for you. You need to focus on what you love to do and what you’re good at. If you would like to get in touch with Maria, you can email Raquelle at hello@foodbymaria.com. You can find her Instagram or even more content on her blog. She also has a cookbook, Mindful Vegan Meals, for more recipes and to get a feel for the food she creates.